LATEST NEWS - Our Prime Native Beef and English Lamb is available to purchase from Cheriton Village Stores when in season. FREEZER PACKS prepared to order. Well hung meats, tender, succulent and full of flavour from Scrubbs Farm. 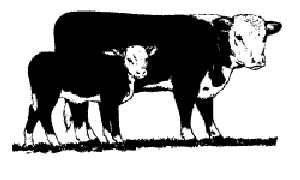 PRIME NATIVE BEEF from our single suckle beef herd of Hereford cross cows by Aberdeen Angus or Hereford sires. ENGLISH LAMB from our commercial native crossbreed ewe flock by rams from our 'Appledown' flock of pedigree Suffolks. HOGGET & MUTTON for fuller flavour, firmer texture and larger joints - ideal for parties. Cheriton Village Stores is located in the centre of Cheriton. We provide anything from batteries to biscuits: you will be surprised how much we can fit in such a small shop! Wherever possible we aim to provide local products. If you would like the convenience of collecting pre-ordered meat, fish, fruit and vegetables from the shop, we have a 'selective box scheme' for you. The Village Store also hosts an outreach Post Office on Mondays from 1330 to 1630 & Thursdays from 0900 to 1200.